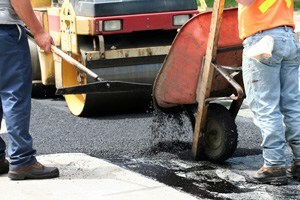 The laws regarding road construction and road defects are especially important in Illinois, where it has been said there are only two seasons: winter and construction. The fact is, a great many injuries occur on our roads and highways every year that are due to road construction defects, improper lane configurations, improper signage and faulty road construction. These cases generally can be brought under one of two facets of law, either common law negligence and/or violations of the Illinois Road and Bridge Construction Act. It takes an experienced road injury attorney to help you with these kinds of challenging cases. A typical common law road injury negligence case would be a contractor neglecting to fill in a large pothole, which in turn causes a tire blow out and an injury-producing accident. An example of a violation of the Illinois Road and Bridge Construction Act might be a contractor failing to post adequate barricades and/or signage to divert traffic from a potentially dangerous area of construction. These and other road construction situations are common causes of accidents involving serious injuries and death for which compensation can be awarded. If you or a loved one has suffered injury from a road-construction accident, call the personal injury lawyers at Goldberg, Weisman & Cairo. We have experienced attorneys who thoroughly understand Illinois road defect law and provide accident victims with superior legal representation. Our commitment is always to ensure that each client receives maximum compensation for his or her injuries to the full extent of the law, including recovery of medical costs, lost earnings, pain and suffering, disability and disfigurement.